Now I see the literal sense, even on a small scale, that phrase so many times I have heard and used “this is the plague”, a term usually used to refer to a disease that spreads rapidly, often used for those “weeds “that appear everywhere and no one knows how to remove them. Something similar happened to the pigs. And do not talk of “plague” in the sense of an unpleasant smell. For the past year or so we are raising pigs, also broilers hens, the odd rabbit and three “guinea pigs”, here called “parakeets” best four, the other day another was born. 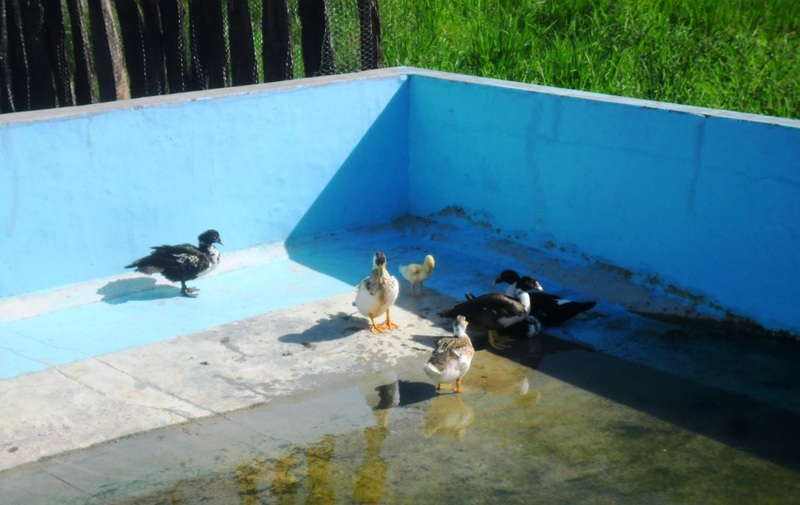 In mid-February (the 20th) we got four ducks, sharing land with few fish falling from the sky, as the say with the rain, and it seems to be true, they appeared in a pond that is sometimes used as a pool, after days of heavy rain. 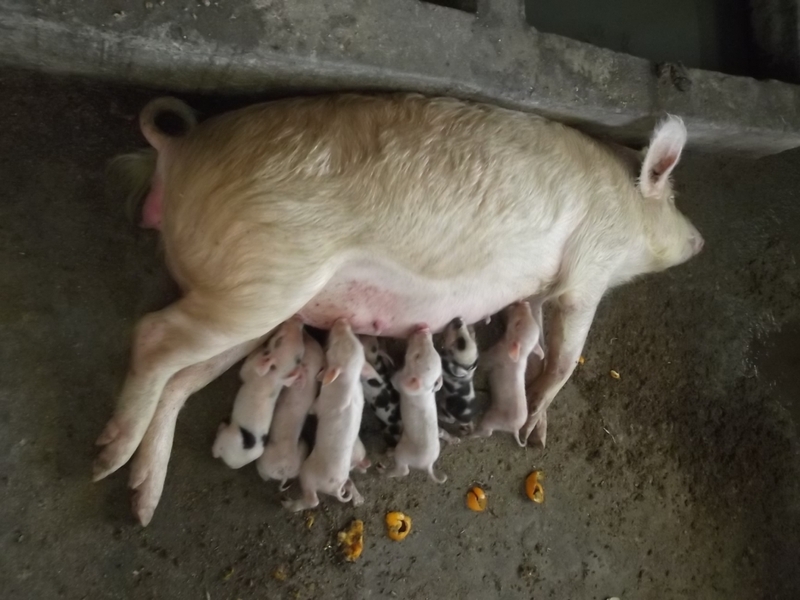 Until February 5 breeding pigs was doing fairly well, it is true that the previous week we saw some of them a little thin, we blamed the food, it would have been more limited as the number and size of the pigs were growing, or that the feed did not have enough “fattening elements”. The following day, after a night of heavy rain, 5 pigs were found dead, quickly the alarm was sounded .It is true that we had found some dead, but they were always tiny, In all this time I do not think they have reached half a dozen. We called the person responsible for agriculture, who has advised and worked with us on other occasions. After some time two veterinarians were called to see the situation and take appropriate action. 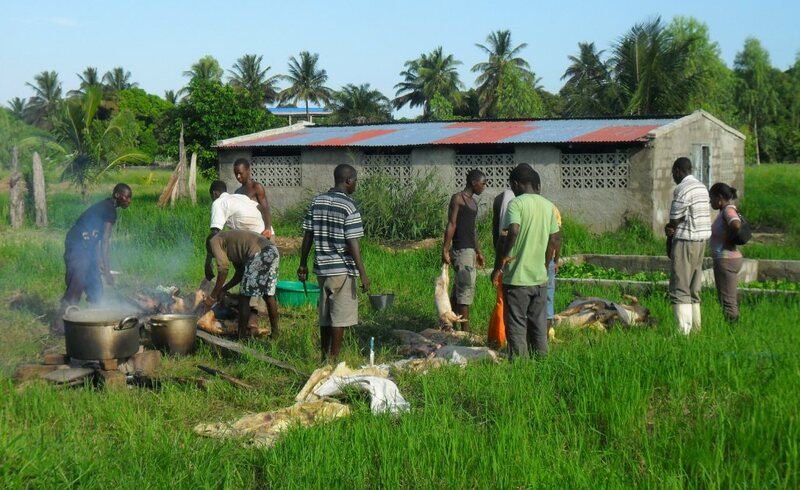 Various samples of blood were taken of both living and dead pigs, opting not want to give us hope, but rather, saying that it may not be the dreaded “ASF” (here called “swine fever “), the samples were sent to Maputo, the capital of the country, and in 24 or 48 hours we would have an answer. The next morning, the two vets returned to see how things are going and openly wondered how many pigs would be found dead, twelve was the answer. At this, it seemed there was no need to wait for the results to confirm what was suspected: it was the plague! They were all affected but not yet showing it: they were lifeless , with small red marks like moles, all over their bodies … We had to do what they call “sanitary slaughter”, that is, must be removed to prevent the further spread of the disease. What to do with the nearly 60 pigs that were still alive? Those who look worse remove them and let nature take its course. Those that looked ok, take advantage of that and slaughter them, if we still have time, the meat is usable, this way we try and recover some of the expenses and work . During this process we discarded another five, including the male breading pig we had, only one “big” (adult) who was apparently in acceptable conditions, and it was the last to be put under the knife after being held for almost everyone. The meat of just over 20 animals, mostly small, one medium pig, ended that night in the freezer, the rest of the animal had to be throw away. A slightly larger number were burned and buried. As expected in the following days those remaining pigs died. Although there is always the miracle of life, often hard to see, a large sow (very thin) and a baby are still alive, immune from the sickness , although, we were told by the veterinarians, who returned about ten days later, they are also infected, but just do not show symptoms of the disease, so we have to sacrifice them before we can raise more. Now we are with the two survivors, hoping they increase their weight and knowing, that once they are removed and the pen the whole area disinfect will have to wait at least two months before you start breeding again. 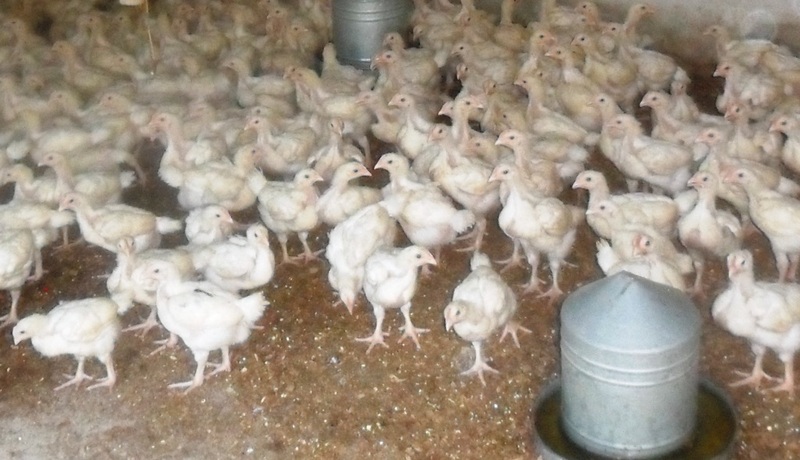 For now, we continue with chickens, increase the number of ducks and begin a new activity: livestock, cattle breeding, which can greatly help feed the Lar, both with milk and with meat. We rely on God’s help, hoping that He will help us in this new stage that faces our farm.